Thought I'd try some long exposures this evening and maybe see if I could capture some Geminid meteors streaking through the sky. Being inside the city and with a full moon out, I knew it was going to be a challenge. It might look dark outside, but city lights and the full moon can make long exposures look bright as day. 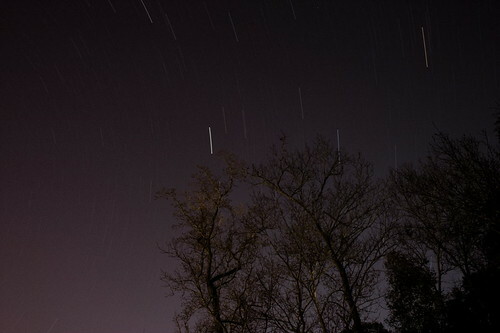 21 minute exposure, f/11 ISO 400. Had to knock down the brightness quite a bit. Although I didn't get any Geminids on camera, I did get to see a few streak overhead. Always cool to see. Got a couple other photos before condensation built up, but they didn't turn out quite as well. Perhaps another attempt tomorrow night.